Did anyone play well for the Browns against the Rams? 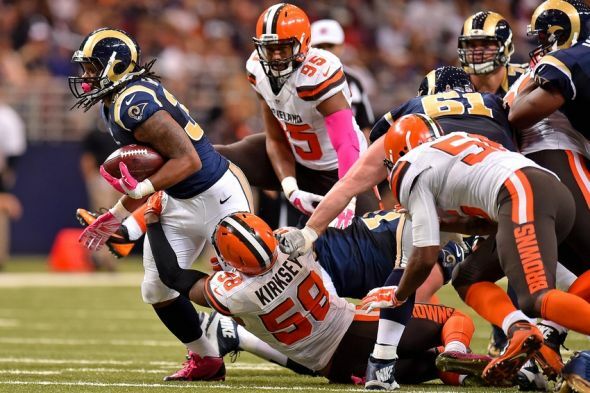 The Cleveland Browns dropped a game on Sunday to the St. Louis Rams in a disappointing and dispiriting fashion. It’s not so much that the Browns lost – that is what they do, after all – but the way they went about doing it. Even though Cleveland came into the game having lost three of their past four games, all those games were close, giving fans the illusion that the Browns could walk off the field on the right side of the scoreboard. That wasn’t the case on Sunday against the Rams, as the Browns fell into an early 10-0 hole and, even though the score was only 10-6 in the third quarter, it never felt as if the Browns were going to be able to pull this one out. For the rest of the story, visit our latest post at Dawg Pound Daily.